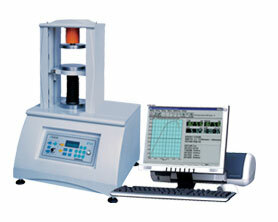 This tester is used for testing the ring crush strength of the paperboard. 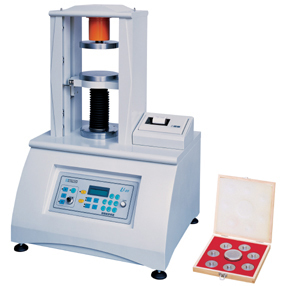 With the proper accessories (optional), it’s also available to test the column compress and adhesion strength of the corrugated board. It is equipped with a precise ball screw, which drives the compression platen steadily along the guide track to compress the specimen. A high accurate load cell detects the compression signal via the analyses of test program to display the test results on the indicator.